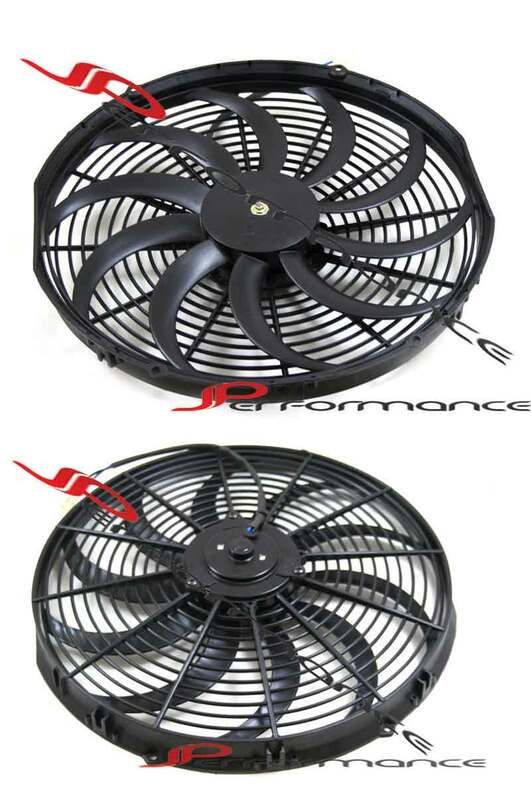 New JPerformance Racing Fan (10''), these reversible electric fans are perfect for additional after market cooling or replacement of factory radiator fans. They can be used in a wide variety of other applications as well as, mounting on an intercooler to prevent heat soak during track/drift racing events, or cooling the radiator in a water-to-air intercooler setup. JPerformance fans are only 2.5" deep at the deepest point, making them ideal for installations in cramped areas. Durable and powerful motor for long life and performance.